Defence lawyer Walter Ruiz represents Mustafa Ahmad al Hawsawi, one of the detainees accused of orchestrating the Sept. 11, 2001 attacks. 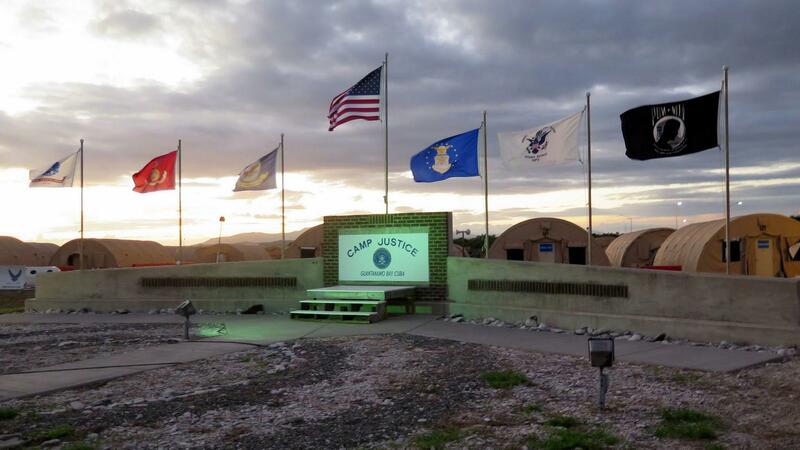 Camp Justice, Naval Station Guantanamo Bay, location of the military commission courtroom. This photo was approved for release by the U.S. military. Camp VI, Joint Detention Group, Naval Station Guantanamo Bay, where most inmates are held. 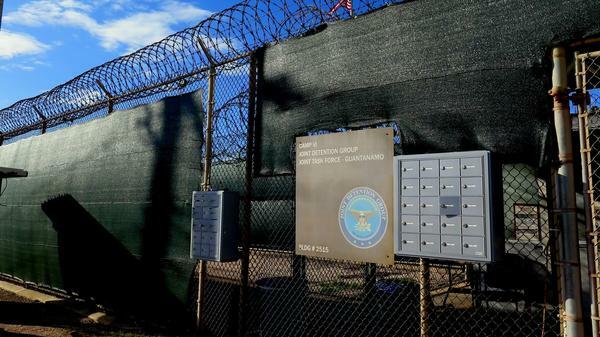 The 9/11 defendants are held in a separate facility, Camp VII - its location on the Guantanamo base is classified. This photo was approved for release by the U.S. military. Naval Station Guantanamo Bay. 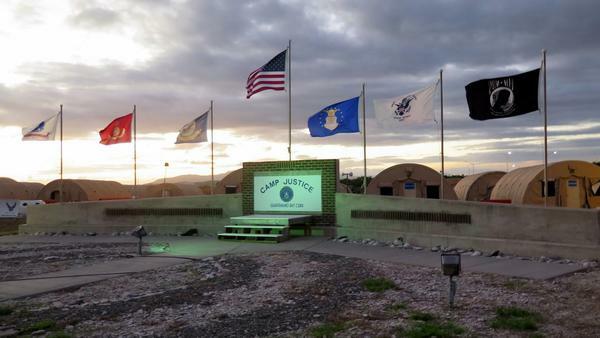 Camp Justice is located at the end of a decommissioned airstrip. 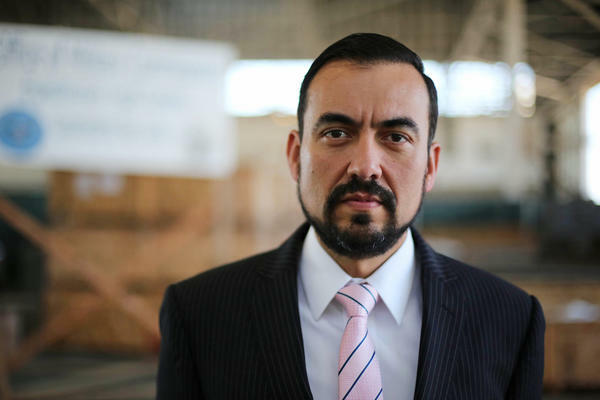 Ruiz' argument was as audacious as it was simple: namely, that the U.S. was not at war with al-Qaida on 9/11, and that Hawsawi thus should not and cannot be tried by this military tribunal. 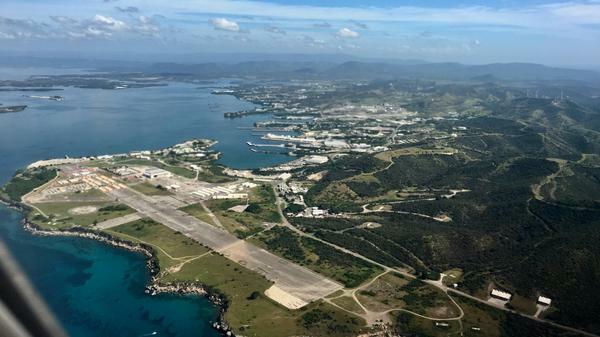 The Guantanamo war court case at the controversial American navy base on Cuban soil has slogged through five-and-a-half years of pre-trial hearings. Last week's was the 26th. Khalid Sheik Mohammed, alleged mastermind of the 9/11 attacks, and his four co-defendants are charged with war crimes punishable by death for allegedly helping nineteen airliner hijackers kill nearly 3,000 people on Sept. 11, 2001. U.S. Army Col. James Pohl, the judge who presides over this massive case, found that Ruiz's motion challenging the court's jurisdiction "raised a colorable issue" - meaning it was plausible for the court to consider. But lawyer Ruiz is a man in a hurry. He's often expressed impatience with this military commission tribunal's glacial pace. The commission was created by Congress in 2009 specifically to try Guantanamo captives, including the five accused of plotting the 9/11 attacks. On day two of last week's five-day session, Ruiz brandished in court the first fruits of his legal gambit. They had arrived after 9 p.m. the night before: newly declassified documents he'd requested more than four years ago. Among them were copies of handwritten notes of Hawsawi's four-day interrogation conducted by two FBI agents and a Pentagon official in early 2007, several months after his transfer to Guantanamo from one of the black sites. The notes amounted to a documentary record of Hawsawi's so-called "clean team" interrogation. It was done to gather war court-admissible evidence, since any coerced statements he might have made in CIA captivity would be barred by the 2009 Military Commission Act. Statements made by Hawsawi during that "clean team" interrogation could be used by government prosecutors to argue that al-Qaida was at war with the U.S. on 9/ll and that he was part of that organization. The interrogation took place in a structure known as Camp Echo II. It's recently been used by defense lawyers to meet with their clients. The five defendants are actually imprisoned elsewhere, in a top secret lockup called Camp Seven whose precise location at Guantanamo remains classified. Ruiz also obtained on the eve of the cross examination a long-sought memo laying out the ground rules for the FBI's interrogations. For him and the other defense teams, the memo confirmed what they had long suspected: that those "clean team" interrogations may have been tainted by the CIA's say over how they were carried out. It also required that the FBI interrogator team put any information the CIA deemed "compartmented" – i.e., mistreatment during prior interrogations or disclosure of detention locations – in a second, separate memo and keep such information out of the original memo. The memo also promised that FBI interrogators would be given background briefings – no mention by whom — on captives they would be interrogating. Former FBI special agent Perkins told the war court she had, in fact, "reviewed" CIA cables documenting statements Hawsawi may have made while in CIA detention. But Perkins added that she had not relied on them to prepare for her interrogation of the suspected money man in the 9/11 plot. There is little doubt Ruiz will use Perkins' statements if and when this case comes to trial. His aim would be to suppress as CIA-tainted evidence whatever his client told the FBI agents in the "clean team" interrogation. And that may be what the move to challenge the war court's jurisdiction over Hawsawi was really about: not so much a long-shot bet on a military tribunal ruling that the U.S. was not, in fact, at war with al-Qaida on 9/11, but rather a ploy to force the prosecution to turn over long-withheld potential evidence of government misconduct toward his client. Government prosecutors seized on Ruiz' challenge to make their case that al-Qaida and the U.S. were at war at the time of the 9/11 attacks. For the first time in years of pre-trial proceedings, jarring video recordings capturing the actual attacks on the World Trade Center and the Pentagon were played in the courtroom. Khalid Sheik Mohammed watched from his front row seat while a handful of relatives of those killed – invited guests of the U.S. government — watched from behind three layers of glass in a partition at the back of the courtroom. "It was very emotional, I did break down in there," said Michael Salamone, whose brother John worked at Cantor Fitzgerald on the 104th floor of the World Trade Center's north tower and perished on 9/11. "It wasn't a TV show anymore – at that moment in time, it really was these real people: these were the people that murdered my brother and a lot of other people." James Connell leads the team defending Khalid Sheik Mohammed's nephew, Ammar al Baluchi. A lawyer with experience handling other death penalty cases, he plans to mount his own challenge to the war court's jurisdiction at a pre-trial hearing scheduled for March. "We've always known that the personal jurisdiction hearing was going to look like a mini-trial," Connell said after this latest court session, "and that's what we saw this week." For Connell, that "mini-trial" amounted to a contest between evidence and testimony from the prosecution that were fully expected and one unanticipated revelation after another coming from the defense. Government prosecutors, for their part, have offered no public comment on the sudden turn this case appears to have taken. Chief prosecutor Brig. Gen. Mark Martins has discontinued the post-session briefings he had held regularly at Guantanamo's Camp Justice. Until further notice, he has also stopped granting interviews to reporters covering the case.